According to Nvidia's Matt Wright, those looking for the best gaming experience this coming generation should get a PC. The Xbox One and PS4 are now out in the wilds, perhaps being clawed over by packs of ravenous Black Friday shoppers as we speak. 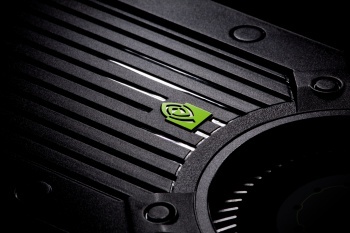 However, in the wake of the new console launch, graphics card maker Nvidia wants to make sure players don't forget about the other gaming system - no, not the Wii U, the PC. "Enthusiast players want the ultimate games system, and that is the PC," said Matt Wright, consumer sales manager for Nvidia. Wright's comments come as Nvidia is launching small, form-factor PCs. Wright encourages those considering a next generation console to keep those in mind while making their decision. "We are proposing small form-factor PCs to be a viable alternative to the next-gen consoles," he said in an interview with MCV. "The PC platform is far superior to any console when it comes to gaming, plus you get all the extra functionality that a computer brings." The buzz for smaller, more user-friendly "living room PCs" increased earlier this year with the official announcement of Valve's Steam Machines. A prototype Steam Machine was just revealed a few days ago by manufacturer iBuyPower. The influence of Steam is certainly not lost on Wright. "Steam now has more users than Xbox Live. There is a whole new generation who grew up playing on PC with titles like Minecraft or World of Tanks. There's a huge community who love playing their games on PC," he said.